All informations and special prices on our Facebooksite. Every tuesday is TIPSY TUESDAY. 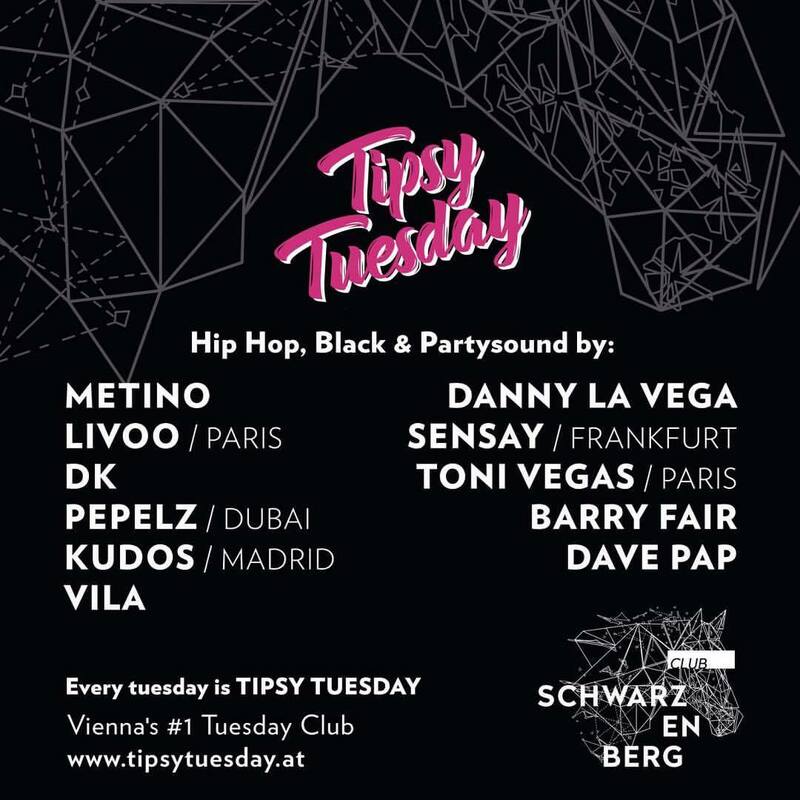 Vienna’s #1 tuesday club since 2010. We’re proud to announce VOLUME 1 of our TIPSY MIXTAPE. Get yourself a dose of TIPSY TUESDAY and listen to BARRY FAIR in the mix.